My favourite haircare brand, Aveda, is excitedly celebrating 25 years of its iconic shampoo and conditioner, Shampure; featuring an intoxicating aroma of 25 pure flower extracts that have been winning awards since 1989. Manufactured with 100% wind energy in 100% post-consumer recycled packaging with ethically sourced ingredients; Aveda Shampure is the hallmark of ethically produced products and has set industry standards. In celebration Aveda adding a hand and body cleanser as well as a body lotion featuring Brazilian Babassu Nut Oil. Both new additions feature the 25 pure flower extract scent and leave your skin feeling unbelievable. The body lotion is soft and nourishing without being overbearing and overly rich on the skin; it sinks in ultra-quickly and is great even on hairy arms and legs. The hand and body wash gives a great, gentle lather that doesn’t dry out the skin and hands. I’ve been using it as a daily body wash in the shower! Aveda have also launched a Shampure Composition, a body oil for body and hair that features a rich concentration of the amazingly iconic scent. 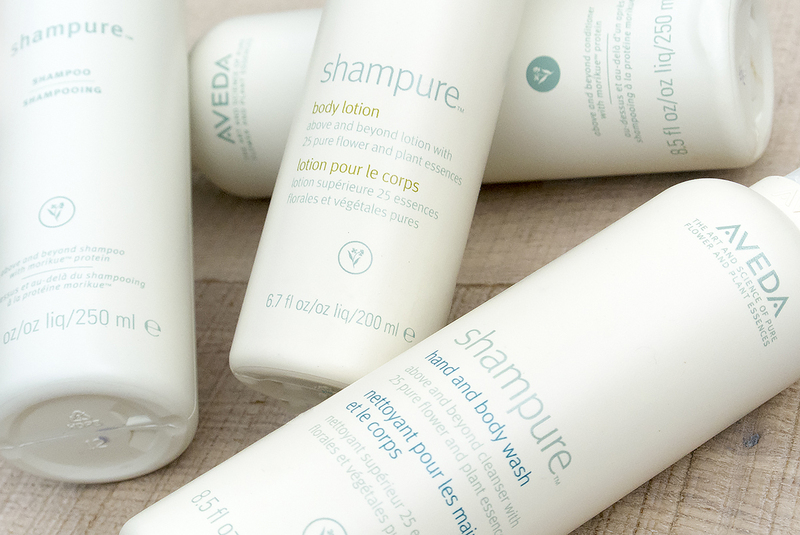 The Aveda Shampure collection is available here from Aveda online. The Shampure Body Lotion is priced at £23; Shampure Hand and Body Cleanser at £17 and the Shampure Composition Oil, £22. This article first appeared on MANFACE written by Thom Watson. It was published on Monday 1st September 2014 and was last updated on Monday 3rd April 2017 at 1:56pm. It's categorised under Aveda, Body, Cleanse, Conditioner, Hair, Moisturise, Shampoo where you'll find more related content. You have just killed Aveda. The moment you mentioned wind energy and ‘post-consumer recycled’ packaging I simply switched off. Brent nooo! Haha. Despite their environmental agenda their hair care products are the BEST. I honestly believe their efficacy is unmatched! Hmmm… Persuasive… Okay, I’ll give it a go and try to console myself that I’ve saved yet another polar bear. (I normally use Kerastase, which, as we all know, is pure evil!). What a great wave of memories you just brought back. Used to love shampure years ago. Definitely looking into the body care additions – thanks, T! !